Forget the health benefits of olives and olive oil – the latest boost to wellbeing is the humble olive leaf. It was once a folk remedy revered by the Greeks, while ancient Egyptians used it for mummifying royalty. But a drink made from olive leaf extract – taken from freshly picked Italian organic olive leaves – is the first health supplement of its kind to be launched in Britain. A new scientific review in the journal Complete Nutrition shows it contains two antioxidant compounds known to support heart health that are among the most potent yet discovered. Oleuropein, a polyphenol produced by the olive tree, makes it particularly robust and resistant against insect and bacterial damage. 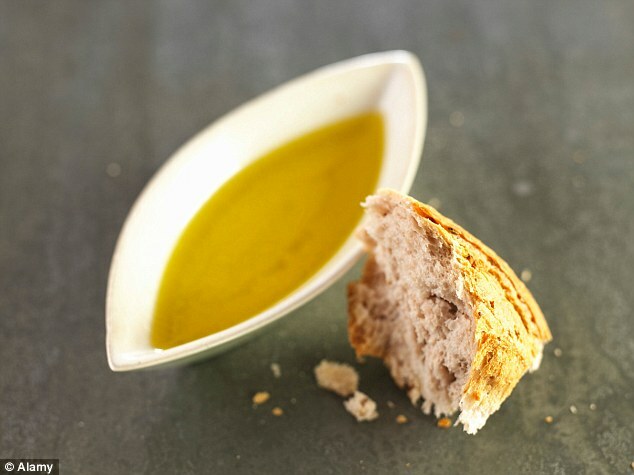 The other compound hydroxytyrosol, is thought to be a major ingredient of virgin olive oil – one of the cornerstones of the heart-healthy Mediterranean diet. Although it is found in olives and olive oil, the highest concentrations occur in the leaf. 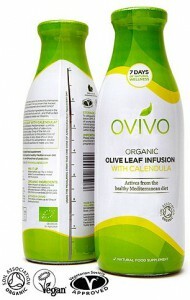 The 5mg dose contained in a serving of Ovivo Organic Leaf Infusion with Calendula has been approved by the European Food Safety Authority (EFSA) as having antioxidant activity. Dr Pamela Mason, chair of the Government’s Advisory Committee on Borderline Substances, suggests the combination of hydroxytyrosol and oleuropein may hold the key to many of the health benefits associated with olives and the Mediterranean diet. A number of chefs at independent or small chain restaurants are also innovating with salt and sweet as a way to add interest and increase sales at the bar. 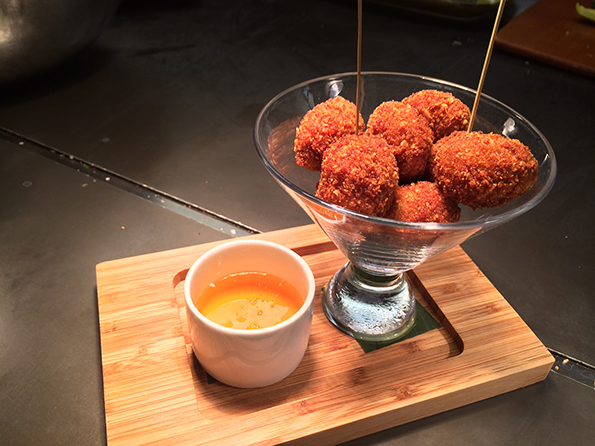 At Tamo Bistro & Bar at the Seaport Hotel in Boston, chef Robert Tobin accidentally created the Dirty Martini, a salty and sweet combo of fried blue cheese stuffed olives served with honey harvested from the hotel’s rooftop beehives. Initially, Tobin was just making the fried blue cheese stuffed olives, but after a first taste he thought they were too salty. He tried several variations in cheese, olives and crust, but nothing solved the problem. Then, while making a spicy-and-sweet dip, Tobin tried some honey and knew it was a perfect solution. Erna’s Cellar Bar at Erna’s Elderberry House Restaurant will premier a new cocktail Aug. 1 — the ’5-Star Martini,’ exclusively designed for Forbes 5-Star properties. Erna’s Elderberry House has been a Forbes Travel Guide 5-Star Award recipient for 12 years, an honor shared with only 100 other properties nationwide. Erna’s Elderberry House Restaurant will celebrate their 5-Star status with this ’Double Cross 5-Star Martini’ sponsored by Forbes and Double Cross Vodka. ’The Sottocenere al tartufo cheese used in the olives is unique and truly what makes this cocktail unique,’ said Erna Kubin-Clanin, owner. ’It is a very pale yellow to off-white cheese with truffles that has a grey-brown ash rind. 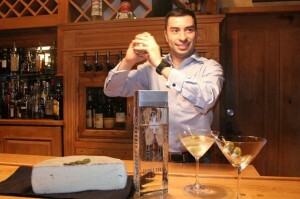 It has a somewhat mild taste and is semi-soft in firmness, perfect for placement in the colossal green olives.’ Wine Director Samuel Aguilar, left, said Erna’s is honored to be part of Forbes selection of restaurants featuring this unique cocktail. Details: Cocktail components: Double Cross Vodka, vermouth, green olive stuffed with fresh Sottocenere al Tartufo cheese.